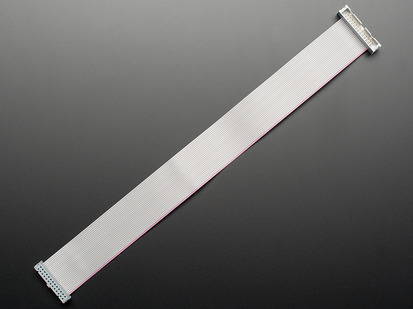 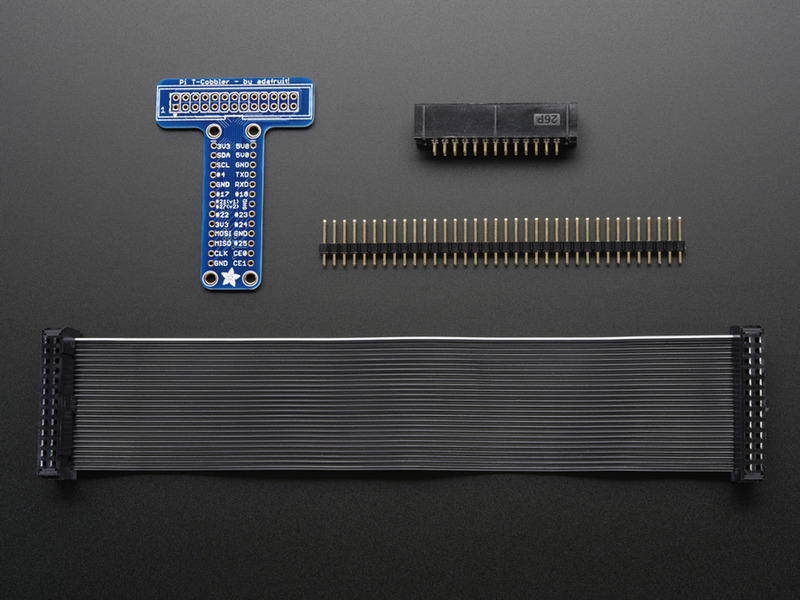 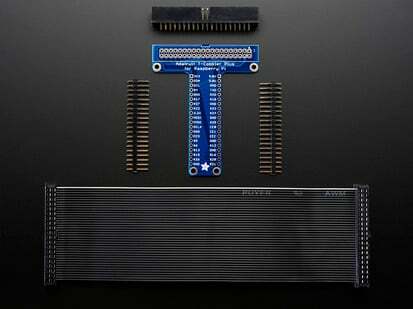 The Pi T-Cobbler mini kit comes with a 26 pin ribbon cable, a custom PCB, ribbon cable socket and header pins. 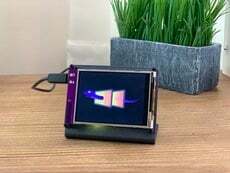 A little soldering is required to put it together but its really easy, even a beginner can do it in 15 minutes so please click to read the tutorial For plug-and-play fans, We also have an assembled version here. 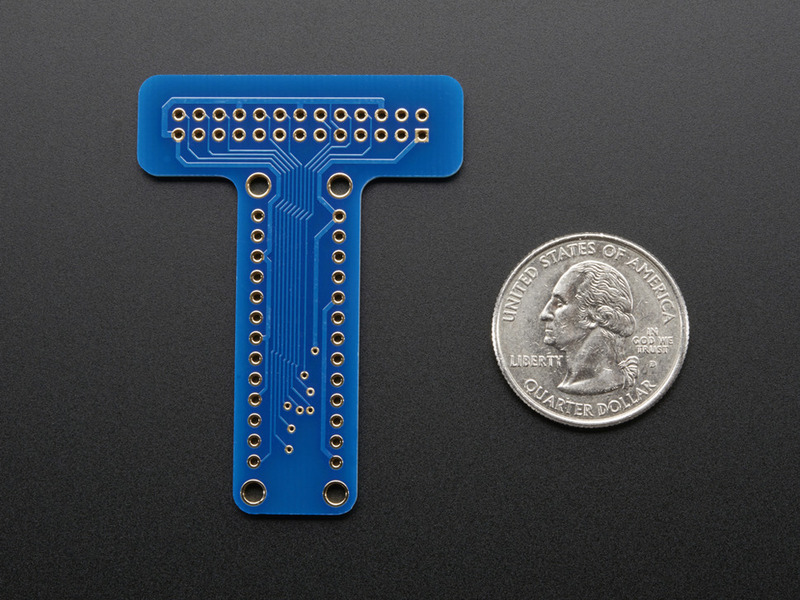 Once soldered together, the cable plugs between the Pi computer and the T-Cobbler breakout. 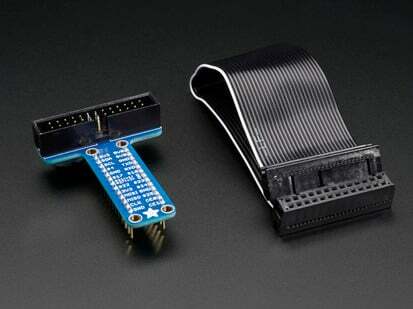 The T-Cobbler can plug into any solderless breadboard (or even a prototyping board like the PermaProto). 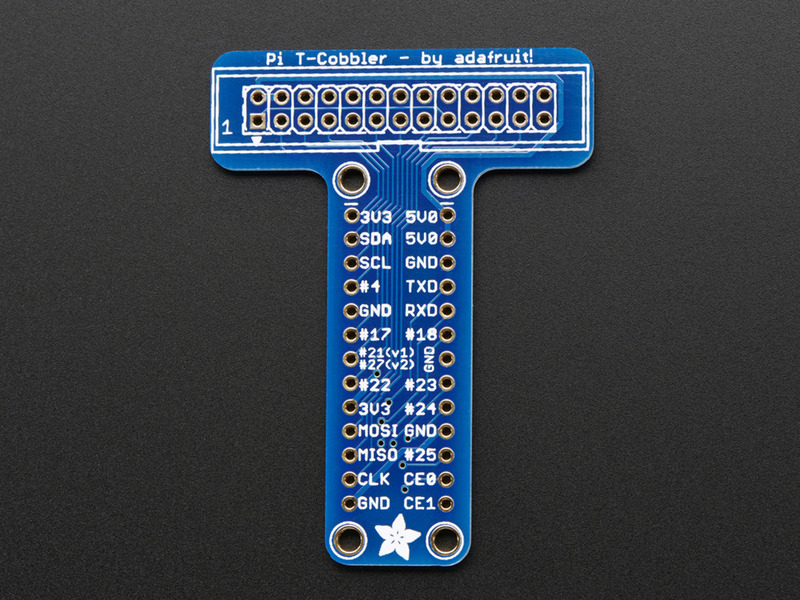 The T-Cobbler PCB has all the pins labeled nicely so you can go forth and build circuits without keeping a pin-out printout at your desk. 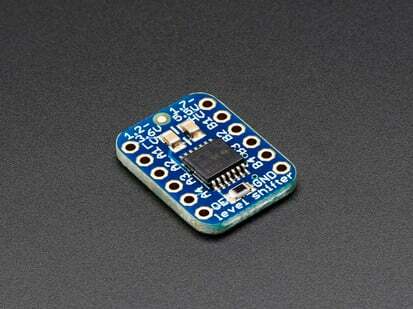 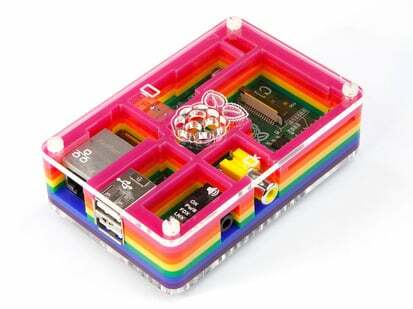 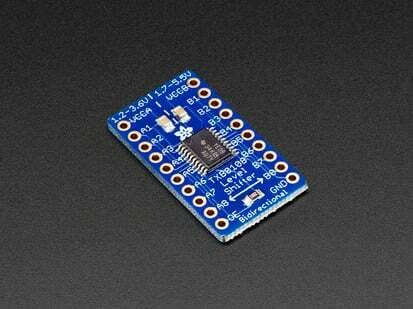 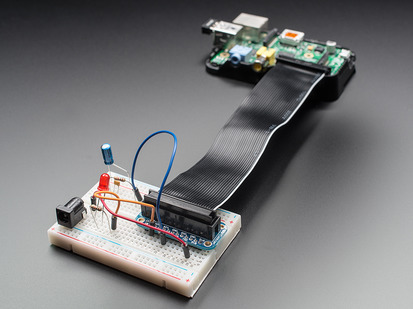 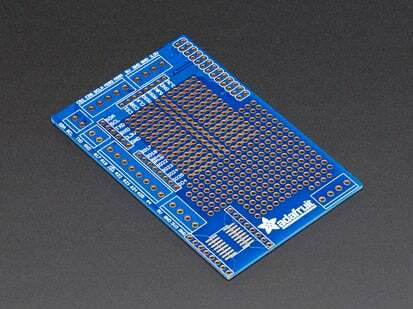 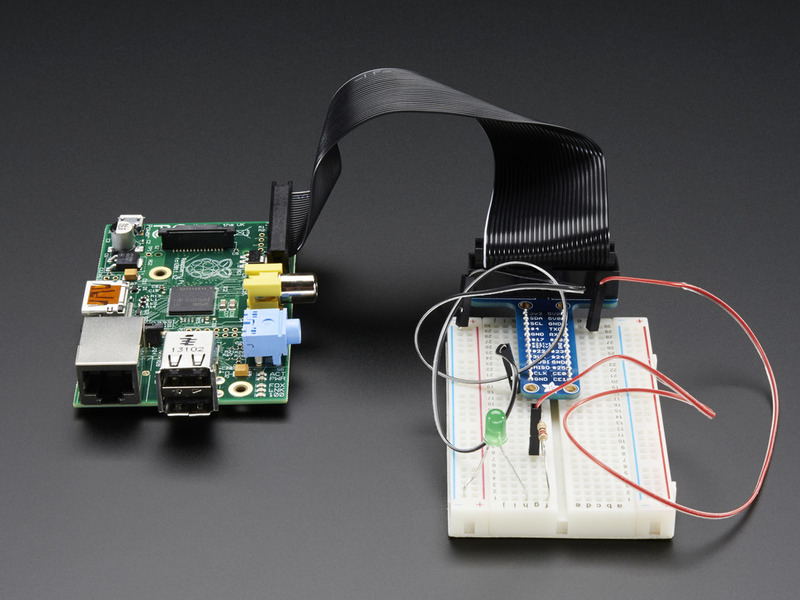 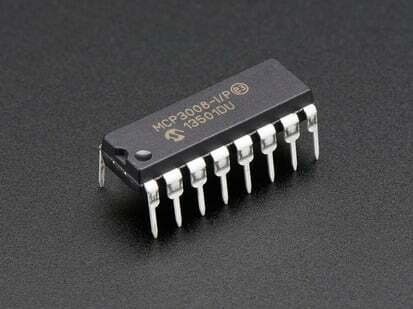 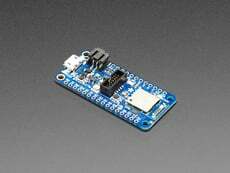 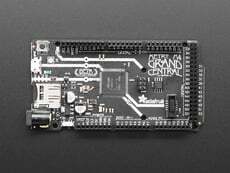 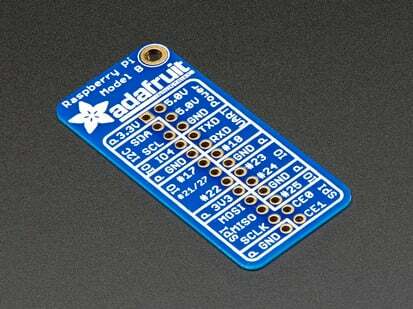 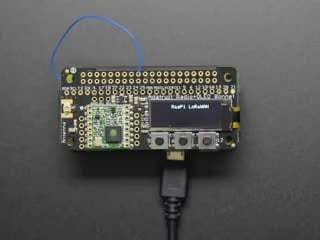 We think this will make it more fun to expand the Pi and build custom circuitry with it. 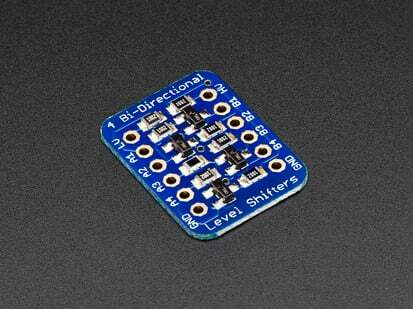 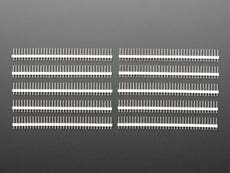 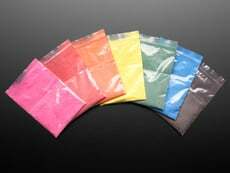 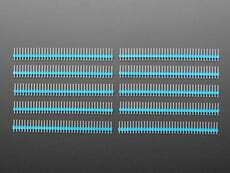 55mm x 15mm x 11mm / 2.2" x 0.6" x 0.4"
Width of T: 40mm / 1.6"